Language services provider thebigword has appointed a proven industry leader as Chief Revenue Officer to spearhead the group’s global growth and customer success programme. Garry Levitt has significant international experience in leadership positions in the customer experience, globalisation and localisation sectors and particularly strong expertise in multilingual content services and technologies. He was formerly Vice President for Sales at Welocalize, the provider of multilingual content to the world’s largest companies, and a member of the group’s global leadership team. Previously, he also held a succession of senior roles at SDL, the multinational language translation and content management company, including Vice President of Alliances for Europe, Middle East and Africa. 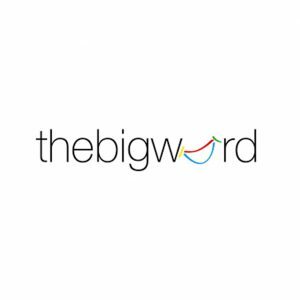 At thebigword, Garry Levitt will be responsible for growing the group’s translation and interpreting business, which serves many of the world’s biggest and best-known brands and a number of major departments within the UK and US governments. He will also be responsible for building new language service partnerships with multinational corporations. Nihat Arkan, global chief executive officer, said: “We are delighted to welcome Garry Levitt to thebigword family. Larry Gould, founder and executive chairman, said: “Garry Levitt’s appointment completes the strengthening and reorganization of the board, a programme we have been undertaking over the last six months. thebigword is the largest interpreting services provider in Europe and is among the top 15 language companies in the world. It works with many of the world’s biggest and best-known brands and a number of large US and UK government organisations. The company has 12 offices around the world, employs over 600 staff and a network of more than 15,000 linguists.Every month, thebigword handles one million minutes of telephone interpreting, 17,000 face-to-face interpreting assignments and half a billion words of translation.